Monique Hayward – Award-winning entrepreneur, marketing expert, author & speaker. She offers today's up-and-coming entrepreneurs and professionals a roadmap to chart a course toward a successful career. Monique is active on social media and encourages you to connect with her. I manage three companies and employ more than my fair share of workers from the millennial generation. If everyone on my team embraced the ideas outlined by Monique Hayward they would be running my companies in minimal time. She is spot on in her assessments. Monique has an intuitive grasp of how our economy actually works. Her book, Get Your Hustle On! is simply indispensable to anyone who wants to get ahead. No matter where you are at in your career, Get Your Hustle On! can help you reach the next level. I bought it a month ago and devoured it overnight. I literally could not put the book down and recommended it to several friends. I live in Portland and hope I have an opportunity to meet Monique Hayward in person so I can thank her for inspiring me. As a Womenprenuer and small business owner its important for Women Doing Business, no pun intended, to know which questions to ask, what are the hard parts and what tips will help me run my business more effectively BEFORE hand! Divas Doing Business did just that! You don't know what you "don't know" about being a businesswoman. This was a candid look into the businesses of some successful Diva's and a reminder of how 'trying' this journey can be. I would definitely recommend this book to any women in business or thinking about taking the leap. Refreshingly candid, insightful and inspirational, Divas Doing Business is a must read for all women entrepreneurs. Monique shares her personal story with honesty and humor, and the interviews with other business women are interesting and easy to relate to. The book not only provides indispensable advice about the world of business; it shares practical tips on how to overcome obstacles to achieve your goals. I have often thought about starting my own business, and Monique has given me the motivation to "find my wind and soar"! AMAZING book from an AMAZING person! Just finished reading Divas Doing Business, it's loaded with practical advice about planning, running and ending a small business. Like other business books, it has its share of interviews with successful entrepreneurial women, but what really makes this book unique is the way Ms. Hayward refers back to her own business, Dessert Noir Café and Bar. She openly, and quite courageously, shares not only her successes, but her failures, and the lessons learned from them, which I find to be both inspirational and educational. Between the content, and refreshing tone, by the end of the book, you feel like you were on the journey with her, and have benefited from the all the hard work, risk, and joy she put into the experience. What a gift! I highly recommend this book for anyone thinking about opening a business. Divas Doing Business is the first business book I've read that honestly talks about the positive and negative sides of starting your own business. It is a refreshing read that isn't loaded with jargon. Anyone who is wondering about starting something of their own or who is already in business for themselves will get solid information. I've been a fan of the book and of Monique since I first read her blog. After that I asked her to be a guest on my radio show, "Women Entrepreneurs - The Secrets of Success" because I wanted her to share her insights with my listeners. I recommend this book all the time and I'm hoping there will be a "part two" coming up at some point in the future. Get Your Hustle On! is a masterpiece. Monique Hayward literally wrote the book on career advancement, offering the millennial generation a master class on developing new skills, adding value to companies and securing the corner office. Her previous book Divas Doing Business was an international success that secured her reputation as a world-class business professional. Monique has her finger on the pulse of the new economy. Anyone who purchases her new book is likely to find themselves earning more money and advancing in their career. Get Your Hustle On! is just that good. Monique Hayward is one of the top female executives in America and my friend. Her latest book Get Your Hustle On! Is a road map for the millennial generation: the essential tools they need to navigate the global economy. Get Your Hustle On! is required reading for anyone building or reinventing their career, but especially for college juniors and seniors - and the people who are mentoring and advising them. It is a quick read and full of great information. I think you will love it. Get Your Hustle On! is a wonderful and easy read for anyone who wants to successfully build their career. It teaches you that working hard is not enough and must be approached as part of a bigger plan when developing and building your career. I love the way the author created some simple concepts to help the reader understand how to approach the task of winning in a highly competitive employment marketplace. My favorite concept was building your personal brand, which is something I have believed in and have focused on throughout my career. This is really a good book for anyone who is either entering the work force or have had trouble navigating corporate America in their current job. Great read! 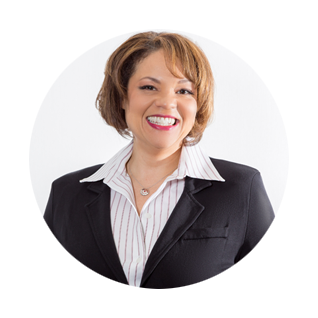 Monique is a highly sought-after speaker and expert who covers a range of topics related to starting and managing a small business, marketing for yourself and your business, and advancing your career. Go beyond conventional wisdom about starting and managing a business and launching a career. Get Monique's candid how-to advice combined with her real-world experience.